¿Ski or snowboard? The two have something very important in common and inspiring, Snow. Either disciplines offer the same feeling the snow will give; float, slide, speed … Both will shoot your adrenaline. If you have not tried any of the two disciplines, we encourage you to try the one that draws you the most. 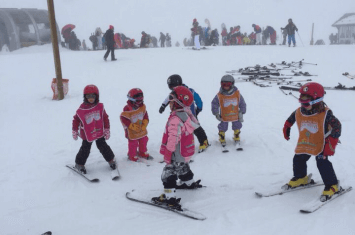 It is highly recommended in either of the two disciplines to take into account the need of taking more class hours, to get more security, respect and fun on slopes and out also. Unfortunately, when the challenge of get down a blue slope is reached, the classes stopped; but that is the best opportunity to get better, and progress faster and above all, properly. Regarding about which discipline is easier, it will depend on training, learning, time and obviously eager to learn. In case of been started in any of the two disciplines, we recommend to go on with it until getting under control before changing. Anyway, learning with a Pro is highly recommended due to the development that can be achieved, and security and fun will increase. If you don’t have a high level, we recommend practicing one of the disciplines.Learning skiing is almost spontaneous. The two first days must be enjoyable, pleasant. A professor guidance is very important at the beginning because all about this sport is unknown. First steps have to be done with a professor to avoid becoming discouraged at the beginning. If we get a good time and learn fast, we will love this sport. If the experience is bad, we will never try again. To take into account: Classes: don’t try to learn too fast. Equipment: we offer comprehensive advice according to age and level. Clothes and Accessories: warm clothing, sunglasses, gloves and sunscreen. Use of wrist, bottom and back protections are advisable as they can avoid injuries. Get protected against cold: Get dressed in layers. Look for fabric that is water and wind-resistant. Water and wind-resistant gloves, thin socks and good sunglasses are essential. Sunglasses must be good. They have to protect eyes from sun UV rays. They are very harmful for eyes and can cause very bad injuries. Glasses colour: dark for sunny days and light for cloudy ones. There are some photocromic ones that can be used in all circumstances. Helmet is not mandatory, but extremely recommended; it can save your life. 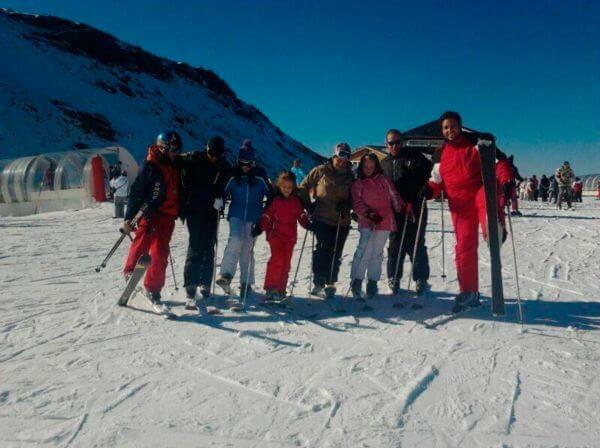 All of skiers might use it, experts, beginners and children of course. To take a good breakfast is essential. It is advisable to take a bottle of water and some dried fruits to the slopes.